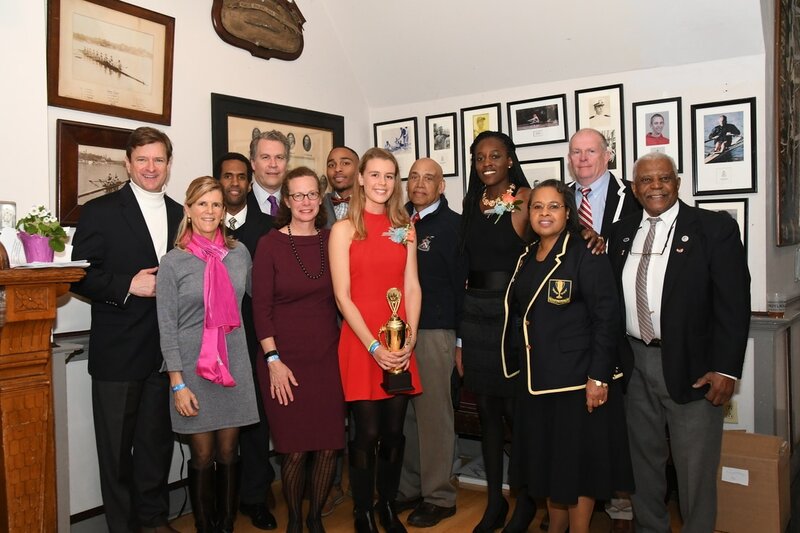 This year's banquet was at Vesper Boat Club. 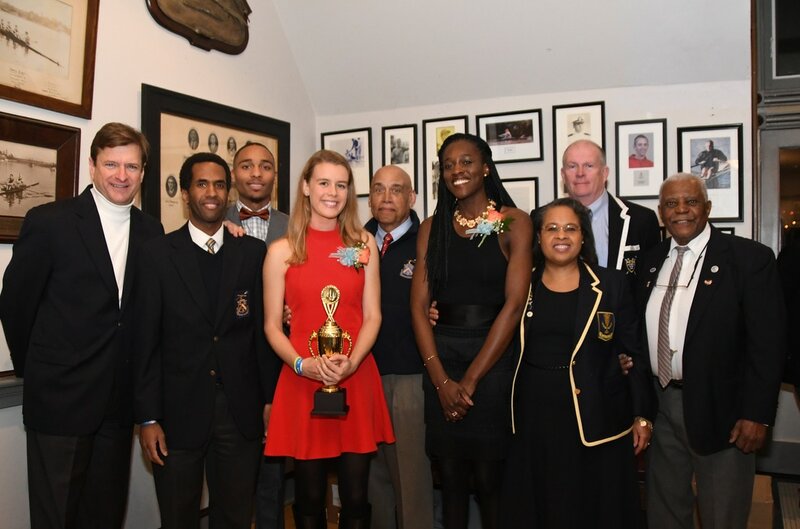 There were two presenters, Olympian Chierika Ukogu and Philadelphia City Rowing graduate, Maurice Scott. Chierika is the daughter of Nigerian immigrants and was born and raised in Philadelphia, Pennsylvania. Chierika's rowing career started in 2006 at Mount Saint Joseph Academy. From high school she attended Stanford University studying human biology. After graduating in 2014, Chierika put medical school at the University of Pennsylvania on hold, to dedicate her time to training for the Olympics. This now Olympian will be represented Nigeria in the women's single event [W1x] in Rio! Maurice Scott Jr. grew up in the Mt. Airy/West Oak Lane part of Philadelphia. He started rowing competitively in 2010 with Philadelphia City Rowing (PCR). That same season Maurice’s boat placed first in the City Championships in the Men's novice 8's. In the summer preceding his senior year, he was recruited by the U.S Naval Academy Lightweight Rowing Program making him the first Division 1 recruit PCR has had. During Maurice’s PCR senior season, he was in the varsity 4 which placed 4th at regionals and 6th at the City Championship. After graduating, Maurice attended the Naval Academy Preparatory School. Although eligible to move on to Annapolis, due to a misdiagnosis that was never corrected, he was only allowed to graduate, not go to Annapolis. Despite that extreme heart-break, he found his way back to the sport of rowing. In 2015 Maurice went overseas to the University of New South Wales in Sydney, Australia. He was the first ever African American to row for that Club/University. Maurice was chosen to represent the University at the University Games in the Men's 8 and Lightweight 4. There he received a number of wins including an Edward Trickett Championship title in the 4X, winning by .66 of a second. Maurice has since been featured in the Philadelphia Inquirer along with PCR highlighting his achievements. He is now a member of Undine Barge Club with high aspirations to one day represent the United States at the Olympic Games.